A variety of experts told California lawmakers Wednesday that the state's cap-and-trade program needs changes if they decide to keep it beyond its expiration in 2020. The Senate Environmental Quality Committee heard from environmental groups, industry officials and others as the Legislature ramps up talks about whether to extend California's highest-profile program to reduce greenhouse gas emissions. The program puts a cap on carbon emissions and requires polluters to obtain permits in order to release climate-changing gases. It was developed as part of a slate of policies designed to help California meet a decade-old goal of reducing carbon emissions to their 1990 levels by 2020. Last year, lawmakers adopted an even more aggressive goal of reducing emissions an additional 40 percent by 2030, which will require the state Air Resources Board to adopt much tighter emissions controls. Wednesday, lobbyists representing oil interests, manufacturers and an electrical utility said they support extending cap and trade, but want to see price caps and other mechanisms to control their costs. With adequate controls, they said, cap and trade would be the most cost-effective way for them to comply with the state's new emissions target. "You can't look at the program we've had to date and how it's operated, its carbon prices ... and say, 'We can just do that going forward,' " said Eloy Garcia, a lobbyist representing the Western States Petroleum Association, an industry group for oil companies and refineries. "It's a completely different challenge" with the more ambitious emissions target, he said. Lawmakers are considering several proposals to continue putting a price on carbon emissions. "We think we have a good program to work from, but it can and should be improved," said Alex Jackson, an attorney with the Natural Resources Defense Council. 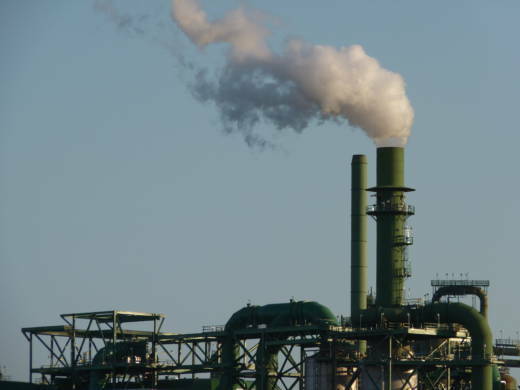 An Assembly bill, AB 378, would largely continue the current program with some tweaks, including efforts to reduce air pollutants — not just climate-changing gases — at industrial facilities. A Senate bill, SB 775, would end the current program and put in place a new system that taxes carbon, but does not have a hard cap on emissions. The Senate bill would use much of the revenue for dividends to California residents to offset higher costs for gas and electricity. The committee was scheduled to vote on advancing the Senate bill, but canceled those plans to allow more time for people to digest the proposal.